This article is an extract from the book Christianity and the Tolerance of Liberalism by Lee Gatiss, available from Latimer Trust. It was originally written in 2006. Three talks on the Presbyterian Controversy of 1922-1937 from the Church Society Conference of 2007 are also available on Theologian in mp3 format. We turn now to consider the battle for Princeton Seminary and the issue of theological education. Much of this story from the 1920s will have a poignant ring to it, not only for those involved today at Westminster Seminary (which sadly is experiencing again some internal discord) but also for those who are aware of issues at other theological colleges such as Wycliffe Hall in Oxford or Oak Hill Theological College in London. “III. I will endeavour, by the grace of God, so to conduct myself toward my colleague in the seminary, as never to give the least reasonable ground of offence. It shall be my aim, by divine help, ever to treat him with the most scrupulous respect and delicacy, and never to wound his feelings, if I know how to avoid it. These admirable sentiments ensured a good working relationship between Miller and Archibald Alexander from the start. Apart from the occasional student ‘rebellion’, Princeton Seminary was spared great internal turmoil for most of its history. The students at nearby Princeton College did occasionally rebel, and on one occasion they nailed up all the entrances to Nassau Hall, together with the doors of their tutors’ rooms. They rushed to the top floor yelling “Rebellion! Rebellion! Fire! Fire!”, broke all the windows and rang the bell incessantly. The Seminary, however, was usually much more peaceful, due not only to concord on matters theological and ecclesiastical but also perhaps to the close family ties that existed and developed among the members of the faculty. Yet in the 1920s this amicability and unity broke down so completely that the General Assembly of 1926 was asked to investigate what was happening at the Seminary. There was little “delicacy” towards wounded feelings and much bitter animosity and contest as the faculty fought amongst themselves for what Miller had called “truth or duty.” One man did end up giving up on his own claims as a result of this strife. J. Gresham Machen, elected as Professor of Apologetics by the Board of Directors was denied the chair by the General Assembly for several years while the investigation was carried out and a report written and endlessly discussed. Yet the disagreements on the faculty were not just about whom Princeton was serving but what they were serving them with. The original Plan of the Seminary was designed “to form men for the Gospel ministry” through study of the original languages of Scripture, a thorough acquaintance with biblical studies and associated antiquities, geographical, and other historical studies, study of the controversies of the day, study of the Confession and Catechisms, study of history, especially Church History, the reading of “a considerable number of the best practical writers”, the composition of at least two lectures and four “popular sermons”, the study of the duties of pastoral care, and the exercise of church government and discipline. By the end of the 19th century many seminaries had, however, dropped Hebrew requirements and introduced more electives into their curriculum. There were complaints that “Seminary authorities… felt that extensive Bible study was unnecessary. They took the position that all who enrolled for study in the ministry were thoroughly schooled already in the Bible. This was fallacious. I, for one, wasn’t… even though my father was a clergyman… The emphasis back in my seminary days was given to Latin, Greek, and Hebrew.” These were the words of Charles Erdman himself, who interrupted his own studies at Princeton for a year to work with his father in order to acquire a better grasp of the Bible in English. "some ground may have been lost by fighting instead of praying..."
A mixture of pastoral experience and scholarly ability was considered a strength, of course, and Stevenson’s appointment was intended to keep the Seminary from drifting too far from where the church itself was. Yet this emphasis on the practical might also be a problem. Machen wrote of Stevenson in 1916 that he “emphasized the ‘intensely practical,’ and advocated the choosing of professors from among the active pastors…. It will be an anxious time when the first of the major chairs falls vacant; for it may be filled with some pious liberal before we know it, or else with some ‘intensely practical’ incompetent, such as the other Seminaries are getting.” Yet, ironically, the problems at Princeton really began when Machen himself, already at the Seminary teaching New Testament, was elected to fill the vacant Chair of Apologetics and Christian Ethics. Machen’s appointment was put on hold for various reasons by the General Assembly which held, but had never before used, the power of veto over Princeton’s appointments. Part of the problem was Machen’s growing infamy amongst liberals. They had, no doubt, read Christianity and Liberalism and they didn’t like it. Yet another element of the problem was that he did not support the Presbyterian Church’s stance on the most high profile ethical issue of the day – prohibition – which “in the minds of many… was tantamount to religious and cultural apostasy.” Banning the sale of alcohol was a great fundamentalist and evangelical crusade in those days, but Machen was not a Prohibitionist. He sometimes drank, in moderation, and even invited students back to his rooms in college for cigars! How could he teach ethics in a prohibitionist church culture? The liberal and moderate side were not exactly paragons of virtue on this front either, of course. Sadly, the same is true in today’s ecclesiastical confrontations. Conservatives in the Anglican Communion may be accused of being harsh or intolerant, but one only needs to read the Church Times or the Fulcrum website to hear at times an equally vitriolic tone. There can be no excuse for us to trade insults with each other. We must show forth the love of God to those with whom we differ, even when we need to say strong things against them. “The Lord's servant” says the apostle Paul, “must not quarrel; instead, he must be kind to everyone, able to teach, not resentful. Those who oppose him he must gently instruct, in the hope that God will grant them repentance” (2 Timothy 2:24-25 NIV). We must show forth the love of God to those with whom we differ, even when we need to say strong things against them. Seminary President Stevenson could not simply ignore the Board of Directors who had nominated Machen. Yet there seemed sufficient grounds for a pause, to put the matter on hold for a year while the whole situation at the Seminary was investigated. Machen’s character flaws were thus used as a way of opening up a debate about the whole direction of the Seminary. The investigation and inspection of the seminary opened a whole can of worms and exposed the tensions within the institution. Stevenson told the investigators that he did not want Princeton to “swing off to the extreme right wing so as to become an interdenominational Seminary for ‘Bible School-premillennial secession fundamentalism.’” While Machen was no interdenominationalist, or premillennialist, he was widely seen as something of a champion for fundamentalism more generally, and there were many independent students in the seminary who were premillennialists and/or non-Presbyterian. Many were Methodists and there were numerous others with their own agendas and yes, secessionist tendencies. So Stevenson was sensitive to where this independent student contingent in the college were pushing it as an institution. 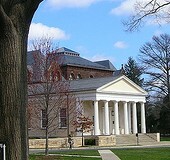 Stevenson did not, however, want Princeton to be a liberal establishment: “I wish to state most emphatically that I do not want such an ‘inclusive’ seminary at Princeton as would include Modernists, Liberals, or those of whatever name, who are disloyal to the Standards of the Presbyterian Church.” With the majority of the Board of Trustees (those responsible for the financial health of the Seminary) standing behind him, he continued to maintain that the Seminary should be tolerant of Old School-New School disagreements and be the agent of the combined schools. As we might say, it should aim to support both conservative and more open and charismatic strands of churchmanship. The heads of theological colleges have not always found it easy to reform their institutions, for good or ill, when the faculty have been against it. New Testament Professor William Armstrong replied that the majority of the faculty, “maintain that the Institution has been historically affiliated with the doctrinal point of view in the Church known as the Old School. They are not aware that the reunion of Old and New Schools required the surrender by the Institution at that time of its doctrinal position and they are unwilling that this position be surrendered now when the differences in the Church are concerned not with two forms of the Reformed Faith but with the very nature of evangelical Christianity itself.” The majority of the Board of Directors (those responsible for the educative and theological aspects of the Seminary) stood behind the majority of the Faculty. So the Directors and the majority of the faculty were on the conservative side, but the Trustees and the President were on the other side wanting to make it a more inclusive institution, but not so as to include everybody. Theology on one side, money and ‘practical men’ on the other. It was an extremely messy situation. Theology was on one side, money and ‘practical men’ on the other. A petition was presented to the 1928 Assembly from more than 11,000 people, including over 3,000 ministers (more than twice as many as had signed the Auburn Affirmation). It called for the reorganization of Princeton to be rejected and for the church to “leave the control of this great institution where it now resides.” Legal opinions and studies were commissioned which also cast doubt on the proposals. In the face of such overwhelming conservative strength what could the liberals do? Another year of delay and discussion was called for. In 1929, however, the die was cast. Erdman’s assurances that no-one was trying to change the doctrinal teaching of Princeton may have persuaded some, but to militant conservatives they appeared naïve at best. Machen had warned that “if we read the signs of the times aright, both in the church and in the state, there may soon come a period of genuine persecution for the children of God.” To many this sounded like sheer paranoia mixed perhaps with personal resentment, and they were incredulous over such pronouncements. The fact is, Princeton was reorganized and, as if to prove the militants right, two Auburn Affirmationists were appointed to the new united Board governing the Seminary. Machen quickly decided that he could no longer serve the institution he had fought for over many years. With R. D. Wilson, O. T. Allis, and Cornelius Van Til he left to found Westminster Theological Seminary in Philadelphia in order to continue a supply of conservative training for ordinands in the PCUSA. Other conservatives on the faculty did not, however, leave with him: Geerhardus Vos, near retirement and “never an active partisan in ecclesiastical controversy” remained at Princeton, although his letters show that he maintained a friendly and supportive relationship with Machen; C. W. Hodge, and W. P. Armstrong also remained as a conservative minority on the faculty. Although Stonehouse laments that their “decisions are not fully explicable”, there were also other conservative voices raised in caution at this new departure. To many it seemed too much of a knee jerk reaction to give up so soon. After all, the two Auburn Affirmationists were vastly outnumbered on the new board, and who was to say that they couldn’t be elected off in a few years? Should theological colleges be abandoned the moment a liberal evangelical is appointed to the governing board? One conservative who took a slightly different view of things to Machen was Clarence Macartney. He clearly “did not assess the relative importance of pulpit and academy in the same way as Machen.” He did not consider the cause entirely won or lost at the level of institutions of higher education. Instead, the chief instrument he used to further the cause of the Reformed faith was preaching, with a full church on Sunday mornings and evenings, a Tuesday lunchtime meeting for businessmen in the city of Pittsburgh (starting with twelve men in 1930 it grew to an average attendance of eight hundred), and mid-week evening Bible teaching which was later published in printed form. He produced books and pamphlets, preached on college campuses and delivered numerous lectures at academic institutions, while nurturing many assistant pastors who would extend his legacy (including Harold Ockenga). Macartney was, as we saw previously, Moderator of the General Assembly in 1924 at the height of conservative influence. But once he realized that the battle against the liberals was lost to the moderates, he seemed content to tolerate diversity within the denomination for the sake of an effective evangelistic ministry in the local church. He became somewhat disenchanted with the wider church scene, although he did not give up on the denomination entirely, investing time and energy into the League of Faith which was formed in 1931 to maintain a conservative witness within the PCUSA. Others have accused him, with some justification, of becoming “functionally Congregationalist”, opting out of synods as a way of keeping his head down and staying within the mainline denomination. After some persuasion he withdrew from the new Board of Princeton and joined the Board of Westminster, but there were signs that the militant conservatives were not as homogenous as was previously thought. Princeton Seminary, then, was lost to the militant conservative cause, and eventually to the broadly conservative cause. Yet this was not the result of a liberal conspiracy but of a failure of conservatives to work together harmoniously while disagreeing on how to tolerate liberalism. That was the dividing line between evangelicals, which allowed the liberals to gain control of the denomination. Those who sought to pacify and keep the liberals in the church, even though they personally disagreed with much of their theology, eventually drove those who opposed liberalism out altogether. Princeton was lost because of the failure of conservatives to work together harmoniously. This article is an extract from the book Christianity and the Tolerance of Liberalism by Lee Gatiss, available from Latimer Trust. Three talks on the Presbyterian Controversy of 1922-1937 are also available on The Theologian in mp3 format. D. B. Calhoun, Princeton Seminary: Faith and Learning 1812-1868 (Edinburgh: Banner of Truth, 1994), page 73 (emphasis original). Calhoun, Princeton Seminary: Faith and Learning, page 166. Not a tactic I would necessarily recommend to theological students who wish to complain about their workload. E.g. Archibald Alexander’s sons J. A. and J. W. Alexander were at one time also members of the faculty, as were Charles Hodge’s sons C. W. and A. A. Hodge (the latter named Archibald Alexander Hodge in fact, out of respect to the founding professor). See W. Robert Godfrey, “The Westminster School” in D. F. Wells (ed. ), Reformed Theology in America, pages 90-91 for donations of money; Calhoun, The Majestic Testimony, page 43 for the classroom; and Calhoun, “Old Princeton Seminary and the Westminster Standards” in J. L. Duncan (ed. ), The Westminster Confession into the 21st Century, page 41 for the library’s title deed. Calhoun, The Majestic Testimony page 285, referring to the state of play when Patton retired and Stevenson took over as President. Quoted in Rian, page 42. Cf. Longfield, page 164. See M. A. Noll, The Princeton Theology 1812-1921: Scripture, Science, and Theological Method from Archibald Alexander to Benjamin Warfield (Grand Rapids: baker, 1983, 2001), pages 55-58. See also Warfield’s “The Idea of Systematic Theology” in which he outlines the “fourfold distribution of the theological disciplines into the Exegetical, the Historical, the Systematic, and the Practical” to which he also adds apologetics (Noll, page 251). Biblical Theology was “the ripest fruit of Exegetics” upon which Systematics could then go to work (page 252). See Loetscher, page 75 and Calhoun, The Majestic Testimony, page 264. Calhoun, Faith and Learning, page 374. For a short but useful survey of the tension between local church and residential seminary training today see D. Helm, “Few are not enough: training a generation of preachers” in L. Ryken and T. Wilson (eds. ), Preach the Word: Essays on Expository Preaching in Honor of R. Kent Hughes (Wheaton, Ill, Crossway, 2007), especially pages 251-254. J. M. Garretson, Princeton and Preaching: Archibald Alexander and the Christian Ministry (Edinburgh: Banner of Truth, 2005), page xxiii. Calhoun, Faith and Learning, page 374 (in the context of the discussion of pages 372-374). See also the comments on page 134 about seminary education being detrimental rather than a help to a minister. “Report on the Supervising Committee of the Board of Directors of Princeton Theological Seminary,” October 1909 page 10. Cited in R. T. Clutter, “The Reorganization of Princeton Theological Seminary Reconsidered” in Grace Theological Journal 7.2 pages (Fall 1986), page 184. Clutter, “The Reorganization of Princeton Theological Seminary Reconsidered”, page 187. L. Loetscher, page 139, speaking about the period when the Seminary was being investigated. Cf. Clutter, “The Reorganization of Princeton Theological Seminary Reconsidered”, page 188 who makes the same point. The pastor from the ‘majority’ group was Greene who pastured two churches in Boston and Philadelphia from 1880-1892 according to Calhoun, The Majestic Testimony, page 441. See Calhoun, The Majestic Testimony, page 269 where he points this out, contrasting the “spiritual” opening addresses of term given by Alexander, Miller, and Hodge with R. D. Wilson’s 1902 offering of “a complete comparison of the vocabularies of the Hebrew and Babylonian” compared “in all important particulars with the vocabularies of the Syriac and Arabic languages”! It was, admittedly, Henry Van Dyke (i.e. not a friend) complaining of “bitter, schismatic and unscriptural preaching”. See D. G. Hart, Defending the Faith: J. Gresham Machen and the Crisis of Conservative Protestantism in Modern America (Phillipsburg NJ: P&R, 1994), page 60. See page 154 of his otherwise very positive assessment in J. Piper, Contending for our all: Defending truth and treasuring Christ in the lives of Athanasius, John Owen, and J. Gresham Machen (Leicester: IVP, 2006) emphasis mine. As we noted above (footnote 45). See Longfield, pages 164-165. Erdman’s words, see Stonehouse, page 325. There is some disagreement over whether he was referring here to Machen or to his colleague Dr. Allis (Stonehouse, page 326), but it seems clear from Stonehouse’s explanation that Machen was in mind. Clutter, “The Reorganization of Princeton Theological Seminary Reconsidered”, pages 194-195 quotes several sample letters to Erdman which accuse Machen and his allies of uncharitable behaviour, intolerance, and Pharisaism, plus a letter to Machen which implies he has a “negative attitude of condemnatory judging”. See for instance the laudatory comments of J. B. Green quoted in Coray’s biography of Machen, page 68. See G. M. Marsden, in Understanding Fundamentalism and Evangelicalism, page 186-187 where he cites examples, especially one where Machen was harsh towards his mentor Warfield. Being like this with his friends, “it might be easy to make enemies” says Marsden (page 187). “Christianity and Liberalism in a Postliberal Age”, page 337. F. Schaeffer, The Church Before the Watching World, page 58, quoted in I. Murray, Evangelicalism Divided, page 310 footnote 2. Quoted in Stonehouse, page 362. Clutter, page 194 gives the percentage of PCUSA Ordinands at Princeton in 1924 as 60% of the student body. D. G. Hart, “The Legacy of J. Gresham Machen and the Identity of the Orthodox Presbyterian Church” in Westminster Theological Journal 53.2 (Fall 1991), page 212 mentions one estimate that 20% of the students at Westminster Theological Seminary in the early days were Methodists, though footnote 8 on page 213 cites Harold Ockenga’s 1929 estimate of 25%. Pages 212-213 claim that at the same time premillennialists may have outnumbered other views by a ratio of 4 to 1. I could not find more detailed figures for Princeton’s non-Presbyterian students in the 1920s, but it is probably safe to say that President Stevenson was not entirely making up this possibility if so many non-Presbyterians and premillenarian fundamentalists did study at Westminster in 1929. The secession of the Bible Presbyterian Synod from the seceding Presbyterian Church of America (later Orthodox Presbyterian Church) in 1937 because of premillennialist, Arminian, and fundamentalist concerns lends weight to this supposition and justifies Stevenson’s use of the term “secession.” Cornelius Van Til, then a recent graduate of the Seminary, was from the Christian Reformed Church, “which Stevenson classified among the separatist sects” according to Stonehouse, page 384. Quoted in Clutter, page 193. As he was reported in the New York Times on 3rd June 1926, page 4. Quoted in Longfield, page 164. “Report of the Special Committee to Visit Princeton Theological Seminary” page 68 cited in Clutter, page 198. See Stonehouse, page 378 for the distribution figure. Machen, “The Attack upon Princeton Seminary: A Plea for Fair Play” in D. G. Hart (ed. ), J. Gresham Machen: Selected Shorter Writings, pages 325-326. He often called people to perceive things beyond the superficial, e.g. he repeats this “no one who has the slightest inkling of what is going on…” idea on page 329 (cf. page 323), and on page 302-303 he speaks of a plan which would drive out evangelicals “who detected the real nature of what had been done.” See also the penultimate paragraph in “The Parting of the Ways” in ibid., page 227 and the point about propaganda obscuring the true meaning of the attack on Princeton in “Is There a Future for Calvinism in the Presbyterian Church?”, page 272. Commenting on Machen’s last ditch speech to the 1929 General Assembly, however, Longfield makes this telling point: “For those with ears to hear Machen’s Common Sense philosophy rang clear: the assembly would agree with him if only “it knew the facts.” Machen’s view of reality, says Marsden, “virtually eliminates any legitimate place whatsoever for perspective or point of view. All points of view other than the correct one are simply failures to see the facts as they actually are.” Longfield, page 173, quoting G. M. Marsden, “J. Gresham Machen, History, And Truth” in Westminster Theological Journal 42.1 (Fall 1979), page 169. Cf. Marsden’s similar comment on page 173 of the article, about legitimate differences amongst Christians. “Plea for Fair Play”, page 315. See also his statement to the investigators on page 307. “Statement to the Committee to Investigate Princeton”, page 309. The text of the petition is in Stonehouse, page 381. Longfield, page 171 gives the figure as “about 10,000 ministers and elders”. Including one by William Armstrong which showed some of the proposed amendments to the Charter were illegal. See Rian, page 50. “Plea for Fair Play”, page 317. Asa J. Ferry and W. Beatty Jennings. See Clutter, page 200 and Longfield, page 173. He retired in 1932. He was, however, 5-6 years younger than R. D. Wilson who did leave for Westminster. M. A. Noll, Between Faith and Criticism: Evangelicals, Scholarship, and the Bible (Leicester: Apollos, 1991), page 57. See J. T. Dennison Jr. (ed. ), The Letters of Geerhardus Vos (Phillipsburg NJ: P&R, 2005) especially pages 218-221 and 223 (letters to Machen), and page 224 (to Paul Woolley). See Scott Clark's comments at http://www.wscal.edu/clark/reviewlongfield.php (endnote 21). See Moorhead, page 328 who says “after 1936… faculty appointments began to signal a broader theological perspective.” Cf. the quoted comments from Kerr on page 329. Lee Gatiss is the Editor of Theologian and the author of Christianity & the Tolerance of Liberalism: J. Gresham Machen and the Presbyterian Controversy of 1922-1937. 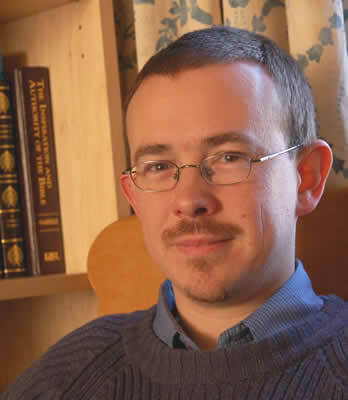 He is the Series Editor of The Reformed Evangelical Anglican Library.